The Great God Pan Is Dead: You! Yes, you! You can be an art collector! 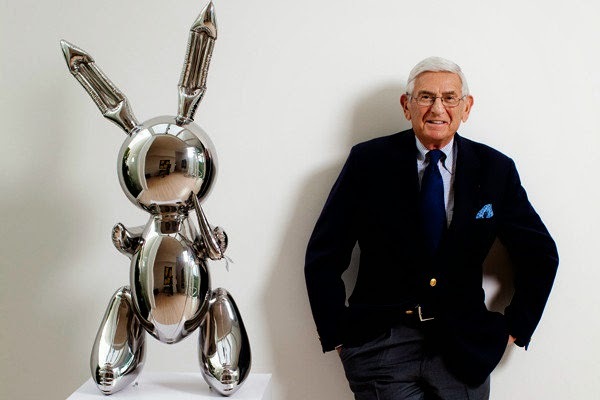 When we think about art collectors, we are likely to think about people like Eli Broad. People who, unlike me and probably you, are very rich. Not that I have anything against rich people. The Menils were also loaded, and we Houstonians benefit from their willingness to share their art collection and to fund the Menil Foundation. (Or maybe when we think about collectors, we think about people like the Vogels, who armed with a good eye and a very tight budget managed to gather a huge, significant collection of contemporary art.) But there is something discouraging when one reads about Christie's auctioning off $745 million worth of art (at an average of $11 million for each piece sold). Or when you stroll through the Frieze art fair. It makes you feel that collecting art is only for the very rich. But you don't have to be as rich as Eli Broad or as fanatical as the Vogels to acquire art. In the past two months, without exactly intending to, I have acquired 16 pieces of art. They are pieces by long established Houston artists as well as very young local artists. Pieces from Houston, from other parts of Texas, from around the country and even one from France. They are sculptures, paintings, drawings and prints. The ways I got them varied, but what's relevant here is that they were all pretty inexpensive while also being work that really interested and appealed to me. Earl Staley is a long-time Houston painter and teacher. He came to Houston in the 60s to teach painting at Rice University, had a great deal of success as a painter in the 70s and 80s, moved away for a while and now is back, still teaching, still painting. He went to live at the American Academy in Rome for a couple of months last year, and came back with lots of ideas for new paintings. Staley had an open studio event and showed some of these new paintings, based on pavement designs in Rome. In addition to his paintings, he also had a slew of new watercolors (in addition to his extensive selection of older pieces). I found this beautiful Grotesquery 2 from his Rome watercolors. COLLECTING ON A BUDGET TIP #1: Buy directly from the artist. When you can avoid a middle-man, you save money. COLLECTING ON A BUDGET TIP #2: Works on paper are often less expensive than larger works. Drawings and water-colors can make accessible the work of an artist whose paintings, sculptures, installations, etc., might be out of reach. Machine Project Documentary Portrait by David Fenster from machine project on Vimeo. Allen was also a Core fellow back in 1993 to 1995. He came to Houston recently with two shows--one a bunch of eye-popping posters for various Machine Project events at the Brandon. 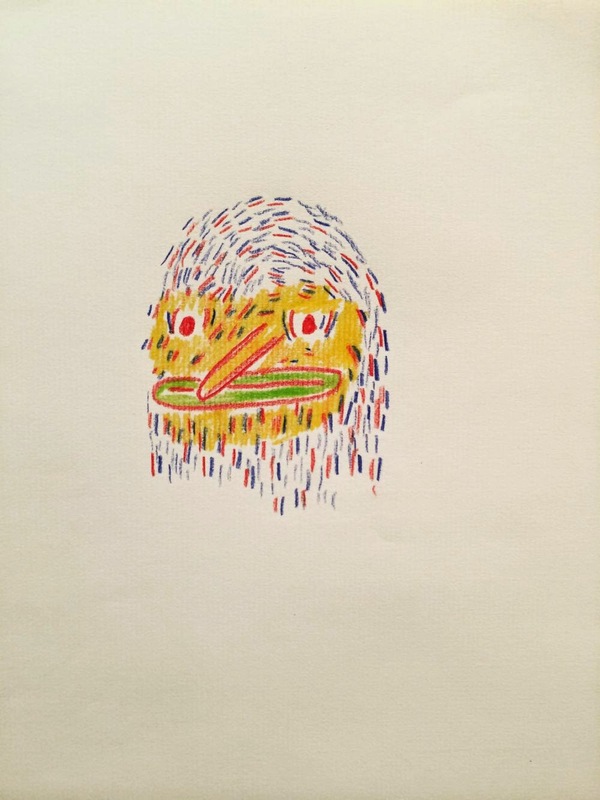 His show at Front Gallery was quite different--a bunch of little drawings that I would characterize as almost cute. I liked the little furry fellow below, so I bought it. BlueOrange gallery was approached by the family of the late Charlie Carper about selling some of his art collection. 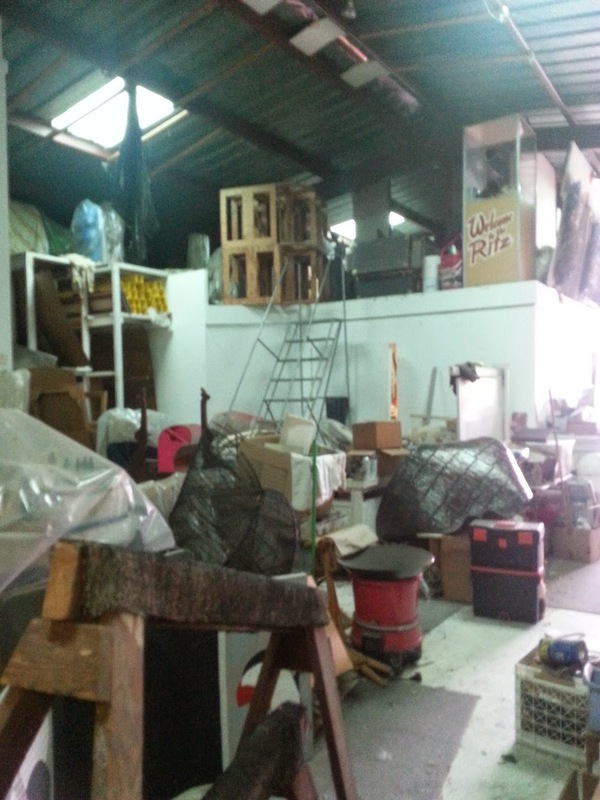 Disposing of art for estates is a common practice for art galleries. 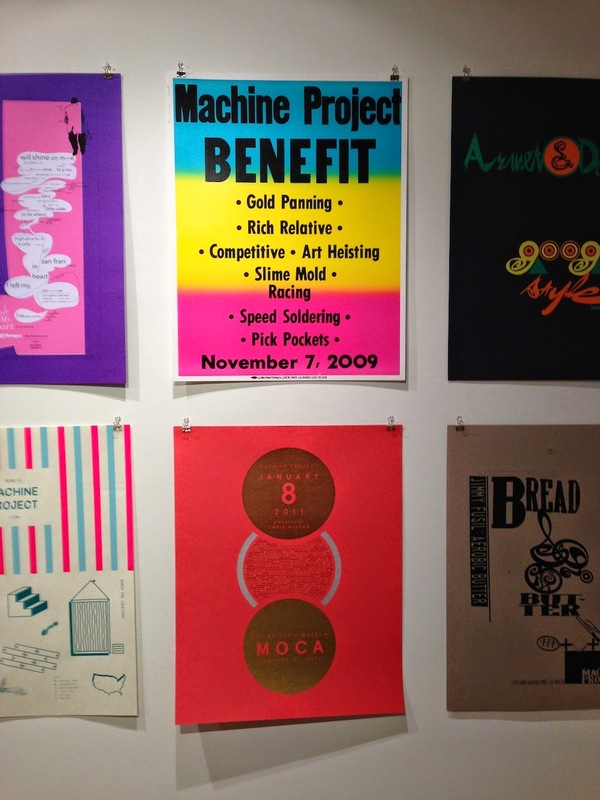 In this case, Carper had collected a lot of silkscreen prints by the Hancock Brothers, and his estate was selling them to benefit ArtBridge, a local non-profit organization that provides opportunities for homeless children to make art. I didn't know Charlie Carper all that well, but we were Facebook friends and chatted occasionally when we ran into one another at openings. I was sorry to hear that he had died early last year. But I'm glad that his collection was being used to help fund a really great cause. So I bought a print. Prince Randian was a famous sideshow freak who appeared in the movie Freaks . I wonder if by portraying him in blackface, John Hancock is suggesting that freakshows were to people with disabilities what minstrelsy was to African-Americans. Or maybe he was just being provocative. COLLECTING ON A BUDGET TIP #3: Prints/multiples are cheaper than unique items, on average. And a lot of really good artists make limited edition prints. While I was at BlueOrange, I saw some other work, including an amazing installation, by Brock Caron, a young artist (born 1987, according to Facebook) from Austin. He works in a style that I would call streetwise redneck lo-brow. Imagine the kind of art Southern Culture on the Skids would do if they were visual artists and about 20 years younger. This is Brock Caron's installation in a big gallery space. In BlueOrange's tiny gallery, it is so large it takes up an entire room with not enough extra space to step back and take a photo. I liked Caron's art a lot, and it was priced to move. So I got a piece called Mama Tried (named after the classic Merle Haggard song, natch). COLLECTING ON A BUDGET TIP #4: Buy art by young, emerging artists. Nothing against art by older artists, obviously. But the more established an artist is, on average, the more expensive the work. The corollary to this is that you may end up buying a lot of work by artists who go on too have not much of a career. But if you want to buy work by artists who have established careers and who have major gallery representation and museum shows and monographs, etc., be prepared to pay a large premium for the privilege. Buying art early in someone's career is more of a "risk," but only if you look at it in terms of a financial investment. If you look at it in terms of acquiring art because you like it, you've taken on no risk at all. I have no idea what the future holds for Brock Caron. It would be cool if 15 years from now I could say, "Yeah, I bought a Brock Caron before he got famous." But that's not why I got it. 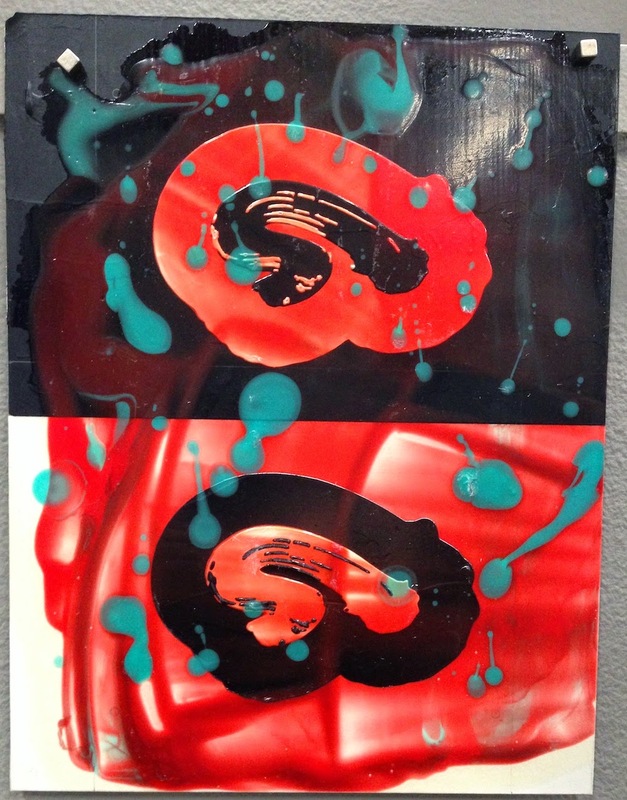 You wouldn't think so, but selling art at auction to benefit non-profits is controversial. For one thing, if you give $500 to a non-profit, you can deduct that from your income for tax purposes, but if you give a $500 painting you made, you can only deduct the cost of the materials. For another thing, people often go to these auctions looking for bargains, which may depress the market price for an artist's work. I'm not sure that there is an easy solution for the former issue, but for the latter, there are ways around it. For example, the Box 13 silent auction allows the donors (i.e., artists) to set minimum bids on their work. Diverse Works dispenses with individual bidding all together--you just buy an opportunity to be in a raffle and then buy raffle tickets. When your number is chosen, you get to choose any of the artwork you want, unless it has already been chosen by someone else. 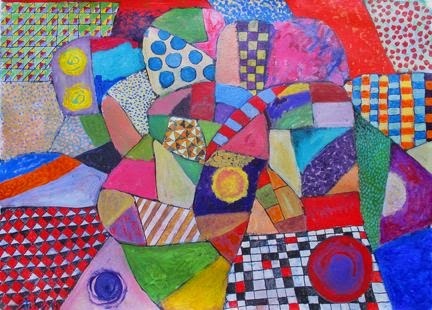 Diverse Works also has a regulation size, 7 by 9 inches. These are tiny pieces that probably won't be mistaken for an artist's main work. I attended both of these fund raisers and walked away with several pieces. Here's what I got at Box 13's Empty Box fundraiser. 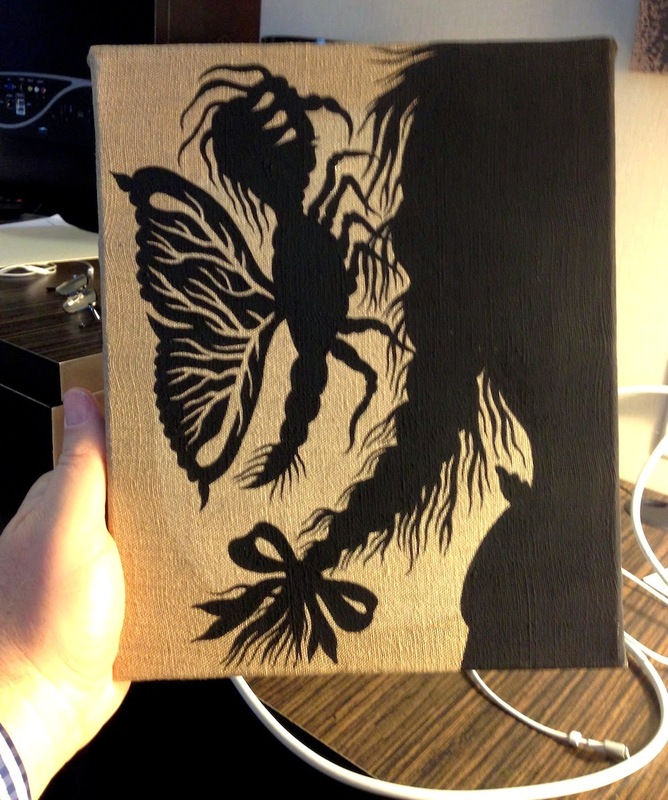 This is my second Kathy Kelley piece I've gotten from Box 13. She is an artist whose fascinating work I have been following for quite a while. Artist/curator Paul Middendorf is also someone whose practice I've followed for a while now, mostly through his curatorial activities. On the other hand, I know nothing about Maggie Fuller and can't even find much about her online, except that she is a Galveston artist. But as soon as I saw this disturbing but beautiful creature, I knew I wanted it! Dennis Harper is a former underground cartoonist and current sculptor, now living in Austin. I've written about his work before, included a large sculpture of his in a show I curated, and finally ended up with another sculpture of his at last year's Box 13 fundraiser. I was happy to get this small but elegant object. 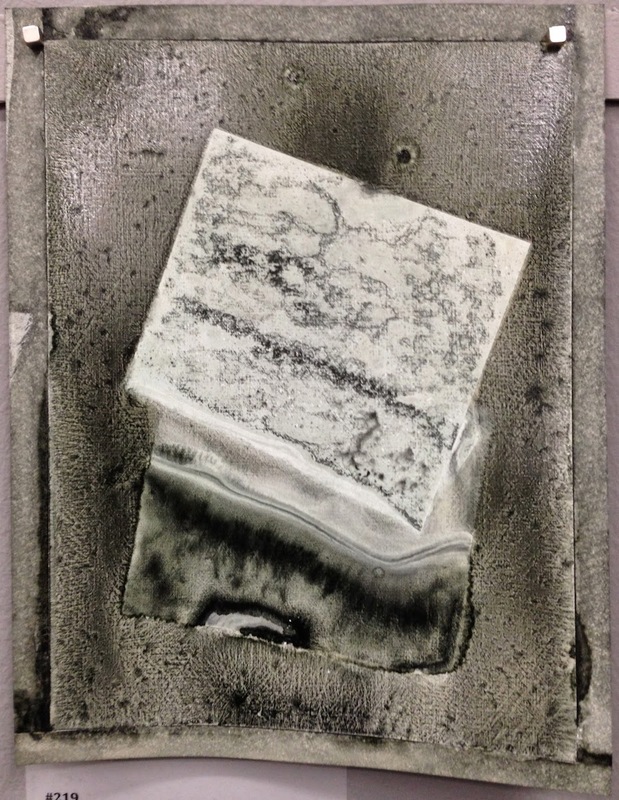 Hillaree Hamblin was part of a group show at Gallery HOMELAND! that was the subject of an unusually controversial Glasstire review. I liked her work in that show and I liked this piece here. And here's what I got at Diverse Work's Luck of the Draw fundraiser. David Reed is a writer/painter from New York. Looking at his website, I realized I had seen his paintings before and liked them, but had forgotten his name! Choosing this work at the Luck of the Draw was a happy coincidence. Kevin Mullins is an artist based in Kansas City. Beyond that I know nothing, except that I was hypnotized by this pattern. It would be nice to stare at while listening to György Ligeti's "Volumina" on headphones real loud. I saw a Ryan Humphrey show in New York last year and it made me laugh (which I think was the intent). It's hard to look at watercolors of breaking waves and not think of Raymond Pettibon, which may be what Humphrey wants. Tatiana Istomina was another Core fellow whose studio I visited last year.The title of this piece indicates that it is meant to be seen as the work of her fictional alter-ego, Alissa Blumenthal, a Russian modernist who immigrated to the US in 1925. COLLECTING ON A BUDGET TIP #5: Buy art at fundraisers for non-profits (particularly those that are run on a ethical basis vis-a-vis the participating artists). Now buying this much work in a short period of time is not something I planned to do. In all these cases, relatively inexpensive artwork became available more or less by chance. It wasn't enough that the opportunity was there, though--I had to grab it. COLLECTING ON A BUDGET TIP #6: Be prepared to acquire art on a moment's notice because you never know when the opportunity will arise. That's what happened when I went up to New York earlier in May to check out the big art fairs. I never go to these things with the intent to buy art because 99.9% of it is out of my league. (I usually get some books at DAP and Printed Matter, who exhibit at Frieze and NADA respectively. 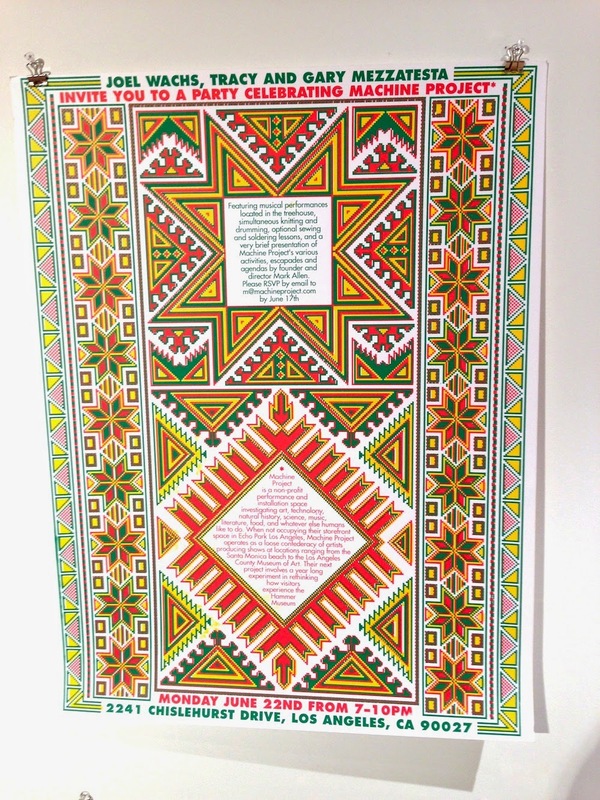 And this year Raw Vision exhibited at the Outsider Art Fair; I got two books and the latest issue of Raw Vision there.) But as I mentioned in this post, I happened on a Stéphane Blanquet painting that was within my price range. I wasn't expecting it and indeed hesitated at first. I left the Fuman Art booth and walked around the fair looking at other stuff, but ultimately I returned and pulled the trigger. The opportunity presented itself and I took it. The craziest art acquisition this past month was But Still First, a piece made of wood and cast aluminum by H.J. Bott in 1966. Bott had a massive studio space that had morphed over the years into a cluttered storage space. 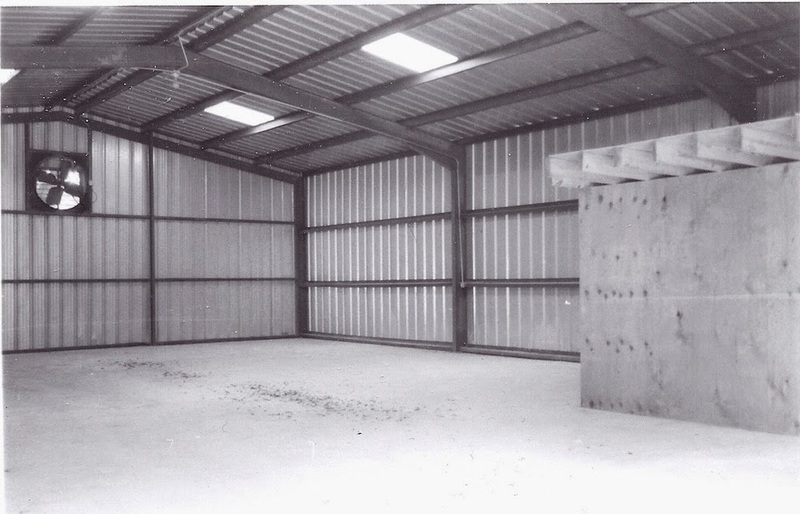 But the land under the enormous metal shed became too valuable to remain a warehouse space, and Bott had to move years of accumulated stuff out. Some he carefully put into climate controlled storage. Some was certainly going to be thrown away. But there was some stuff he was giving away, so he invited a group of us to come over and take what we wanted. That's how I got this early Bott, created long before he came up with his DoV system. It obviously comments on the then current space race and the unspoken violence that lay behind it. (The space race, like much of the Cold War, was war by other means.) I feel extremely privileged and grateful to have it. And that leads me to my final tip. COLLECTING ON A BUDGET TIP #7: Become friends with someone who may someday, when you least expect it, give you a piece of art for free. A corollary to that one is that you have to pay it forward. Buy art and give art to the people you love. For these 16 pieces of art, I paid a total of $3264, which is by no means a trivial amount of money. But it comes out to a mere $204 each, which is pretty damn affordable. You don't have to be Eli Broad. You, too, can collect art. I went to Diverseworks yesterday and picked up the other Tatiana Istomina. Score!! I was surprised at how many GREAT works are still available from Luck of the Draw, i.e. Marcelyn McNeil, Michael Guidry, Jane Eifler and other awesomeness for only $100. People need to get over there!